Calendula Oil Heals Skin Naturally - Elizabeth Yarnell, naturopathic doctor specializing in food sensitivities (MRT, CLT), health, diet and nutrition speaker. 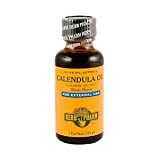 One of my favorite remedies for healing damaged skin is calendula oil. Calendula is another name for Marigold — the same ones we see commonly in gardens– and when the flowers are infused into an oil base the healing effects can be astonishing. Calendula oil has anti-oxidents and offers antiseptic and antibacterial properties as well as being anti-inflammatory when applied topically. It helps heal cuts and scrapes and is effective on rashes, eczema, burns, and dry, chapped, or cracked skin. 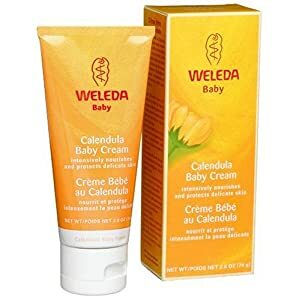 One of the best uses for calendula oil is for diaper rash, where it works miracles for healing tiny tushes. Bed sores, rug burns, and even broken or varicose veins will respond to the healing power of calendula. Try applying calendula oil after cosmetic waxing or laser procedures to calm the skin and reduce the inflammation and redness quickly while bringing a sense of relief to the site. As a bonus, it will reduce scarring. Calendula oil is a good ingredient in regular skin care formulas for its anti-aging properties and to promote healthy skin. Personally, I keep a bottle of calendula oil as part of my standard first aid kit and use it instead of Neosporin or other antibacterial cream on minor wounds or burns. image oof a user in his/heг brain tyat ɦow a user can understand it. Sо that’ѕ why this pοst іis amazing. Thanks! to go to see this website, it includes precious Information.